Xiaomi has become the world's sixth-largest global smartphone brand despite limited geographical availability — CCS Insight estimates that Xiaomi sold 13 million smartphones in 1Q15. The Chinese company has become a top smartphone and device maker by expanding from the inside out, starting in China and working its way through several key Asian markets. This week, Xiaomi announced it will begin smartphone sales in Brazil, marking the company's first direct handset sales outside of Asia. The smartphones will be assembled by Foxconn in Brazil, the first time Xiaomi will manufacturer devices outside of China. It's a response to local political pressures and the taxation regime, and will serve as a learning experience as the company plans local manufacturing in India. Xiaomi's expansion into Brazil was announced earlier this year, and came as no shock to the market. In some ways, Brazil is a home from home for Xiaomi — the company's vice president for global operations, Hugo Barra, is Brazilian. He's become a hometown hero, providing Xiaomi with a ready fan base in Brazil. The company will have a running start in the market if it's prepared to meet demand. A successful launch in the region will afford Xiaomi a stepping stone into other Latin American markets. CCS Insight estimates that up to 65 million smartphones will be sold in Brazil during 2015, and 145 million across Latin America. Grabbing market share in the wider region would mean significant volume boosts to Xiaomi, which sold 61 million smartphones globally during 2014. The company will launch in Brazil with its Redmi 2 model, priced at 499 reais ($160). The phone is dual-SIM, an attractive feature given that GSMA Intelligence's figures indicate a cellular subscription penetration of 135 percent — about four SIMs for every three people. Xiaomi has become a top-six global smartphone maker after only five years of operations by selling large volumes of a few models in large markets. Its flash sales have simultaneously become a successful trading model and a point of irritation for potential customers left out in the cold. 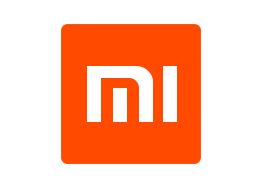 In Brazil, Xiaomi is establishing an online sales channel that will elevate the company's presence in the country. After Brazil, the next anticipated market launch for Xiaomi is Russia — a possible entry point into other Eastern European markets. Direct sales in Russia would give the company a presence in all BRIC nations, and truly make it a global brand. We believe that expanding into major new markets will be challenging for Xiaomi, but the company has proved its capabilities and will be a serious competitive force in each market it enters (see Xiaomi Looks to Services in Bid to Conquer Overseas Markets). Xiaomi is able to earn while it learns, disrupting markets with new business models and extremely low prices. Competitors will need to adapt to a world of flash sales and thin hardware margins. The top-three Chinese smartphone brands (Huawei, Lenovo and Xiaomi) appear set to play a game of leapfrog in market shares, hardware features and consumer value. Industry disruption by Chinese smartphone makers is increasing as companies like Xiaomi learn to alter approaches for local market success. For many legacy players, it won't be easy countering Mi.